The only problem is that they already did this: Technical Readout: 3145 – the book, not the series, already had a large offering of units from all the books. Still. 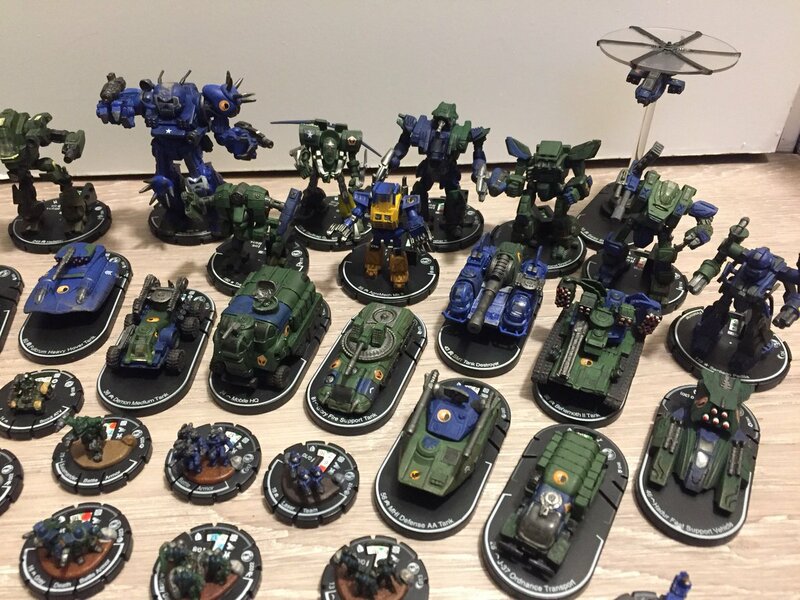 Nine battle armors, seven VTOLs, two WiGEs, 35 other combat vehicles, three QuadVees, 36 BattleMechs, one security ‘Mech, one ProtoMech, six proper AeroSpace fighters, one semi-aero conventional fighter, three assault crafts including one “gunboat”, and three DropShips – one dedicated BattleArmor carrier, one mixed battalion, one somewhat extreme Pocket WarShip. All but seven of these units appeared in the TRO 3145 series. Four of those seven previously were introduced in Experimental Technical Readout: Republic, Volume 1. 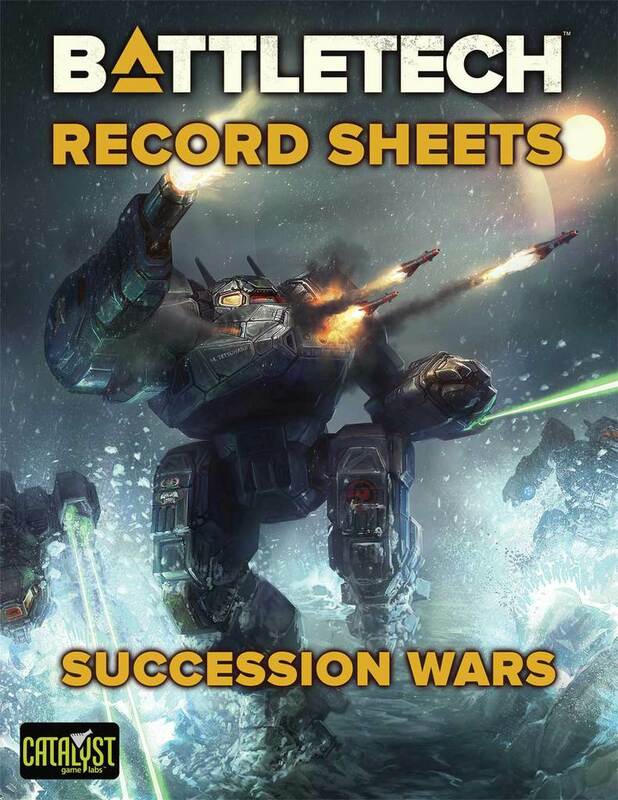 Two more were seen in Era Digest: Dark Age, while the last – the Inquisitor II Security ‘Mech – was part of the Annex for Turning Points: Irian, and was originally first mentioned briefly way back in 2006 with the Technical Readout: Vehicle Annex. Oddly, Technical Readout: 3150 does not include units from the Republic of the Sphere Technical Readout. The in-universe justification seems to be that this text was written from the perspective of the Republic, who are apparently preparing to make their last stand against the Wolves, the Jade Falcons and House Liao. (More about all of this later.) The real world reason was likely that the aforementioned Technical Readout: 3145 book drew heavily from the Republic TRO. Rather than just re-hash what I’ve already gone through in previous product reviews, I will at least go over the content from outside the 3145 series. Specifically checking out the units, obviously, but also reviewing the infamous “flavor text”. First up is the Strix Stealth VTOL, which was originally featured in the Experimental Technical Readout: Republic, Volume 1 book. (I rarely cared for the Experimental TROs. On the one hand, the want you to spend more money on their goodies. On the other hand, they usually tell you ‘hey – this design is a prototype or super-rare, so it does not make much sense for you to actually use it’. Total burner.) The Strix was a joint development project by the Republic of the Sphere and Clan Nova Cat. The best thing I can say about it is that it is ultra fast (with a VTOL Jet Booster) and its Watchdog CEWS package can allow it to swoop in, identify a target or disrupt enemy electronics, then swoop out. All well and good as far as that goes. Is it seamless? No. What is the point of putting a Targeting Computer on a machine that carries only a Class 2 Ultra Autocannon and two extended-range small lasers? Even if they are Clan-Tech weapons? Those two extra tons could have further enhanced the chopper’s electronics suite. Either TAG or a C3 Slave (or both!) would have been more appropriate. Also, the probe and ECM electronics involved are short-range. What’s the point of mounting a long range autocannon on a fast VTOL that is primarily used to for causing short range mischief? Nevertheless, for all of that, you can look at this unit and identify situations where you would actually use it as opposed to an alternative VTOL. The Roadrunner takes the concept of a fast ‘Mech to a natural extreme, cramming as much speed as possible on a 15 ton Clan-Tech chassis. I know I had previously made similar claims about the Prey Seeker (another ultralight ‘Mech included in this book on the previous page for easy comparison) but this one really takes the cake. It can walk faster than the original version of the classic Locust could run. It may not be as fast as the Celerity from the Republic TRO, but that machine is a drone and therefore not a proper ‘Mech. Two Clan extended range medium lasers are plenty of bite, but the problem is the protection. I know it’s not supposed to stand still, but honestly, the moment it gets tagged, it’s dead. You would need a massive map to take advantage of its speed. They might as well have stuck the guns on a hovercraft or VTOL for all its issues. I will take a pass. The Raider is an intentionally low tech ‘Mech. Until I saw it, I could not imagine a unit with Triple Strength Myomer carrying around an ICE engine. This is what happens when you let the Dark Ages stretch too much. Indeed, the Raider was seen in Era Digest: Dark Age, aside from being a “Clix” miniature back in the day. I have never been fond of these sorts of units, and seeing another ‘Mech that couldn’t take advantage of its TSM bugs me. Also, the Dual Saw is under-powered. Even the old hatchet would have been a better choice. The Cave Lion, a kind of Dark Age era totem ‘Mech of our poor, fallen Clan Nova Cat, is almost the complete opposite of the Raider. Instead of being a hodge podge of antiquated gear, it is an excellent example of advanced machinery. This Lion incorporates some of the finest examples of new technology – Clan-grade reflective armor and an Angel ECM suite – with the proven equipment of yesteryear – twin Clan ER PPCs, four medium pulse lasers, and weight-saving gear like the XL engine and Endo Steel. An ATM-3 fills out the weapons array. It is as fast as a Mad Cat, but unlike most Clan machines, it includes hands. In fact, this brute carries Battlefists. This really appeals to me, as ever since I discovered the advantages of hand actuators against armored infantry I’ve preferred not to give those up. It can play the role of mobile long-range striker with its PPCs and missiles, but it can also quickly close with and ravage a foe with the pulse lasers. This ‘Mech is so posh it’s almost a surprise they didn’t make it an OmniMech. 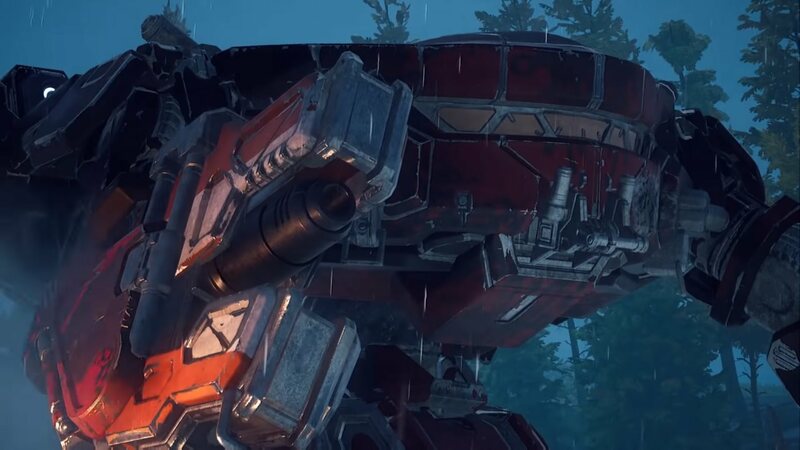 In terms of the philosophy of maximizing a ‘Mech’s potential, the Cave Lion is by far the most impressive “new” ‘Mech in this collection. 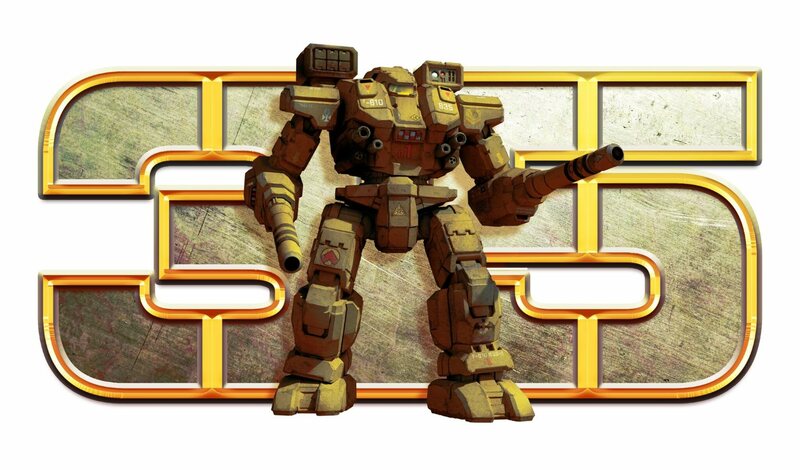 From there, we go back down to the Inquisitor II, a 50-ton “security” ‘Mech. It was featured in the Turning Points: Irian publication. Despite my eye rolls, the configuration actually makes sense. In theory, a ‘Mech assigned to defend a fixed point, like a factory, doesn’t necessarily need exceptional speed, or even average speed. The TSEMP – a new favorite – can take down, say, a “rogue” ‘Mech if it gets hijacked from the assembly line. The Light AC/5 comes with two tons of ammunition, enough to take proper advantage of alternative shells that became so popular around the Jihad. The flavor text gives reasons for why machine guns aren’t included on one of the few ‘Mechs for which it would have made sense. Overall, it’s a good opponent if your player-character party is engaging in an objective raid, but I wouldn’t care to use one. Finally, the Castrum is a massive pocket WarShip designed to protect the Republic. The weaponry relies on capital missiles sub-capital cannons. It is really no match for a proper WarShip, but since there aren’t many of those about, it’s perfectly adequate for coordinating an orbital defense. 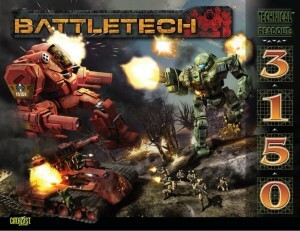 There is a “New Tech, New Upgrades” section, summarizing many of the improvements made to existing ‘Mechs since 3145. We’ve seen this sort of thing before, most notably in the “Royal” section of the Technical Readout: 3075 book. Honestly, I would like to appreciate it more, but sadly, this release comes with no record sheets, so I don’t feel suited to giving any significant views at this point. I will say some of the summaries are so brief there is no way I could feel great confidence recreating the machine described. Finally, we come to the flavor text, most notably in the respective “Notable Units” section. The storyline has theoretically advanced five years, and no doubt that will interest some people more than the cast-offs and reprints. For those who can’t wait, I will give a brief summary. So…. New Avalon has fallen to House Kurita. Julian Davion has retaken New Syrtis from the Capellans, and thus the Federated Suns is just barely holding on. The situation for the Lyran Commonwealth seems almost as bad as they fight to survive against the Jade Falcons and Hell Horses. Coventry has fallen. Arc-Royal has fallen and Callandre Kell and the surviving Kell Hounds apparently vanished in the aftermath. Who knows what the Exiles have left? The Republic is being simultaneously pressed by the Wolves, the Falcons and House Liao, and it doesn’t look like the Fortress will hold up. In the reborn Free Worlds League, Captain-General Jessica Marik was assassinated, presumably by Regulans. But they do seem to be holding on. Anastasia Kerensky is now a saKhan in the self-styled Wolf Empire. Overall, House Kurita, House Liao and the Crusader Wolves still seem to be the “big winners” of this age. Overall, I do still feel disappointed with the decisions made by the developers for this book. Yes, it’s nice to see a bunch of 3145 designs side-by-side for contrast, but ultimately, it’s a tease. Like Icarus, the Republic and its ideals soared too high. Like Henry VI, they could not back up either their ideals or their piety. They should have walked closer to the ground where it was safe and stayed out of the sun. You made a very nuanced review. I should point out that while New Avalon has likely fallen, there is no definitive proof due to the short texts. 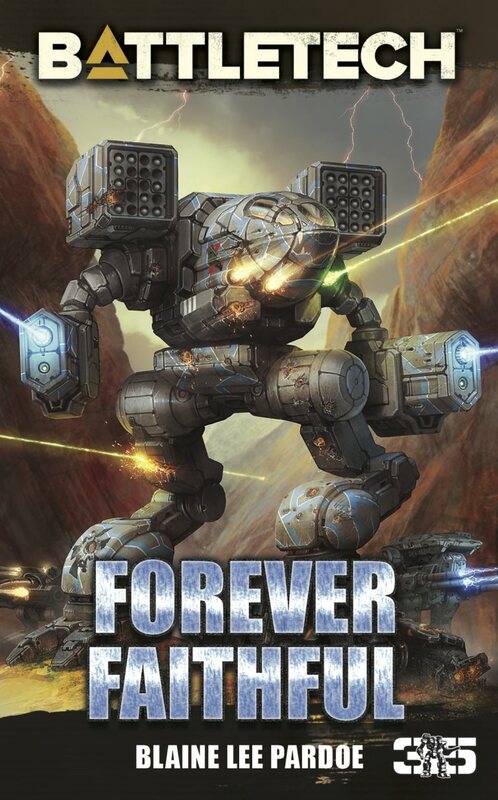 Ever since 2012, CGL has been releasing products that are either re-treads of what we already know with minor details added in(Historicals), teasers(Dark Age books & TROs) that encourage fans to sink ever more money in with little returns, or the downright bizarre, teasing and inconsequential(ISP 3). I agree that ilClan is the most significant must-buy throughout all these years, but all the monumental events teased at by the products from 3145-3150 should have proper sourcebooks describing them. Well, the words “government in exile” were pretty damning to me. But you are right that they are being coy. I liked the Cave Lion enough to buy one of the mini’s and it definitely seems like it is an effective design as well as just plain cool looking. However, it does have one of my personal pet-peeves: Claws that aren’t claws. It bugs me to no end when a mech, visually, has big pointy claws in the art but not on the record sheet (Kodiak, I’m looking at you!) At least in the fluff they explained it away with the whole idea that the cats WANTED to make real claws, but the Sharks insisted on reflective armor which was too fragile to turn into a weapon. 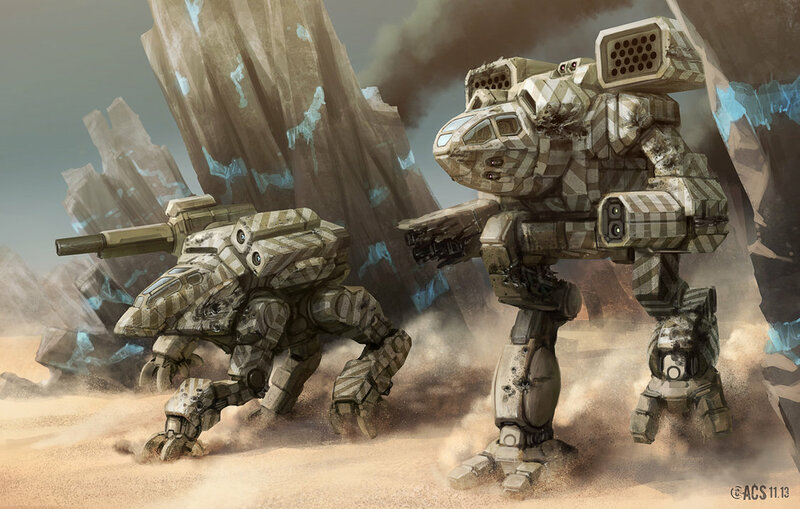 Still, it would be nice if the Sea Foxes came up with a low-tech Cave Lion 2 that dropped the fancy armor and electonics (and probably some weaponry given how much claws weigh) to put actual claws on the mech. Of course, knowing the Foxes, the Cave Lion 2 it more likely to get an XXL Engine, Ferro-lam armor and a pile of ER Pulse lasers to drive the price up even higher! That aside, I really do appreciate the NTNU section. 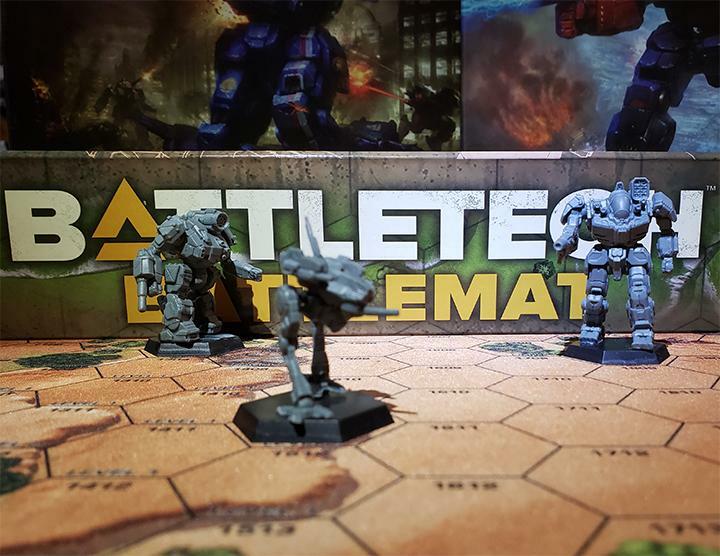 It’s a nice way to balance keeping older mechs playable (so you don’t have to buy ALL new minis) with all the new designs that keep collectors coming back for new content. Oh, yes. And if the TRO had included record sheets for those refits, i would give the work more credit. Fair enough. I do agree that some of the descriptions are so terse that you really don’t get a clear picture of what has changed. Let me insert my dime into this discussion. I think it was implied that Raider has an Industrial TSM, which makes more sense given the low-tech concept , ICE engine and the flavor text. Okay. Where are the rules for Industrial TSM? In Total Warfare, for example, the same place as for an usual TSM.